Scientists at NASA’s Johnson Space Center found something very unexpected in a Martian crater. Using the Curiosity Rover, the scientists detected a mineral that, until now, they thought could only be created in extremely hot temperatures. The discovery of this tridymite might rewrite the history of the planet, suggesting that it might once have been home to monstrous volcanoes. The scientists found the mineral, tridymite, with a special instrument on the rover that shoots x-rays at material to identify the crystal structure of minerals. These volcanoes form as a result of plate tectonics: Plates shifting in Earth’s outer shell dive deep into the Earth’s mantle, carrying water with them. They melt and form a mixture of molten rock, or magma, which forces its way to the surface, where it explodes and flows out. 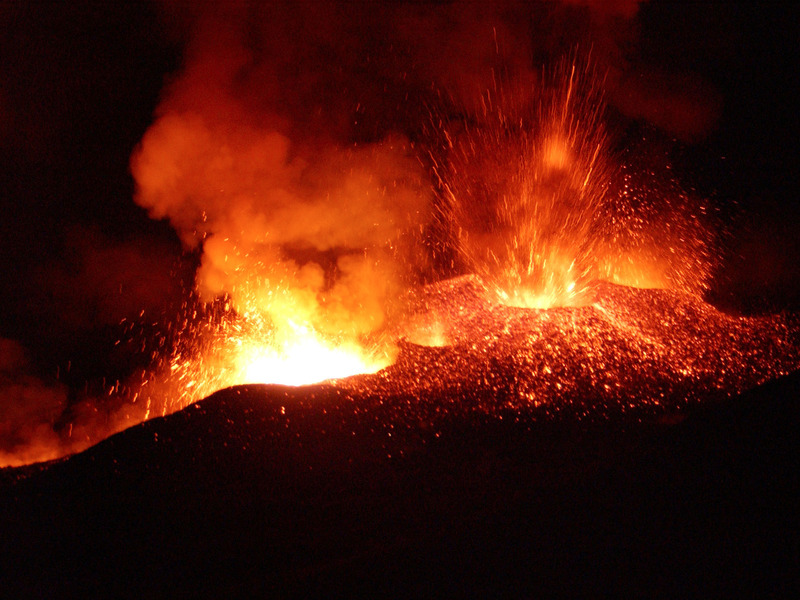 The combination of high silica content and extremely high temperatures in these volcanoes creates tridymite. But as far as we know, Mars doesn’t have water, or plates hidden beneath the surface, and its temperature is cool. So where did this tridymite come from? That’s what scientists need to figure out now. And to do this, they will either need to change their understanding of how Mars evolved, or change their understanding of how tridymite forms.